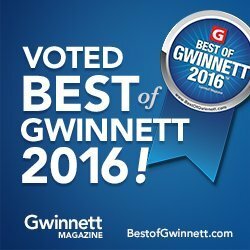 why we were voted "Best in Gwinnett 2016!" or risk your health by waiting until you can see your busy PCP ! Make an appointment online or by calling (470) 424-8888. Walk-ins are welcome! chronic pain get the best of you. Call FastMD4You and get help fast. Closed on the following US holidays: Memorial Day, Fourth of July, Labor Day, Thanksgiving Day, Christmas Day, New Year’s Day. Special Offer for New Urgent Care Patients.$ 99.99 for a Doctor’s visit. Restrictions apply.FastMD4You has provided Convenient, Affordable Health Services in the Gwinnett, Hall, Forsyth, Fulton Counties for Years. Get the Urgent Care, Anxiety, ADHD treatment, Weight Loss Management,Traumatic Brain Injury Evaluation, Medical Marijuana Card, Autism Eval, LOW Testosterone Therapy you need and see a Board Certified Doctor Now. Make an Appointment today either online, by calling us or just walk in. Suwanee Clinic for the Uninsured. Schedule an Appointment Online, by Phone, or Walk In! or call us at (470) 424-8888, or simply walk-in. We recently went to the Fast MD 4 You Clinic in Suwanee and had an amazing experience. The staff were very polite and diligent in helping to find an answer to our problems. Dr AJ was very knowledgeable and spoke to us about options and helped us find a specialist who could help us further on. Overall it was a wonderful experience and I highly recommend them to anyone. Before I was a patient with Fast MD 4 You, I was a patient at another pain clinic that gave me no relief. I was in so much pain I just wanted to fall to my knees, cry and ask god if it was my time to go. I couldn’t even go to all of the events and activities my kids were in because I was just in too much pain. Then I switched over to Fast MD 4 you and I had staggering improvement in my pain relief. My pain wasn’t all instantly gone but Dr. AJ helped me take huge strides in reducing my pain with a regimen. The doctors never quit on me even when I was at my lowest point. Now I can get through a whole day of work and really live my life again. I will never forget what they have done for me and I am so grateful! FastMD4You is the go-to clinic for our family. My children go for their school sports physicals, and my wife and I see them for most of our healthcare needs. My mother and one of my cousins uses FastMD4You. Since we do not have a traditional primary care doctor, we see FastMD4You for almost all of our healthcare needs. They are very fast, affordable and came highly recommended. They will even see you after church on a Sunday afternoon by appointment if you need them! Amazing place. I have seen them for chronic headaches/Back issues. The doctor and the staff have good bedside manners, they listen to you well and are empathetic. I can honestly discuss all my problems with them. I trust them for my medical needs. Last Monday on the Labor Day, i called them at 5:45 PM in the evening,this clinic was closed for the major holiday, but I was still seen within 45 minutes of my phone call. I love the accessibility after-hours and the flexibility in making appointments. They are available when I need them. With them, I do not worry about the cost of healthcare, because their charges are transparent. We have recommended them to our friends and family. We were in Atlanta for a visit & my wife needed to see a doctor. We searched Google to see if we could get immediate care without sitting in an emergency room for 6 or more hours. We found the listing for FastMD4You Urgent Care & Pain Management and found they were also open on Saturday. We were seen immediately, the service was affordable, fast and the doctor was very kind. The experience was great. We highly recommend FastMD4You.